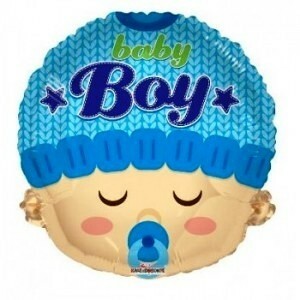 A cute shaped baby boy foil balloon. The design is the face of a contented baby boy sucking a dummy wearing a blue hat. Suitable for helium gas filling. 18'' / 46 cm in size.